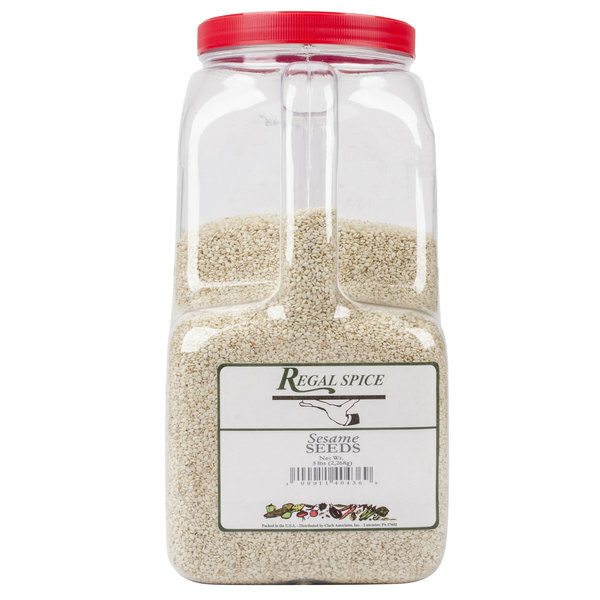 Use Regal white sesame seeds to add flavor and texture to all of your restaurant's signature dishes. 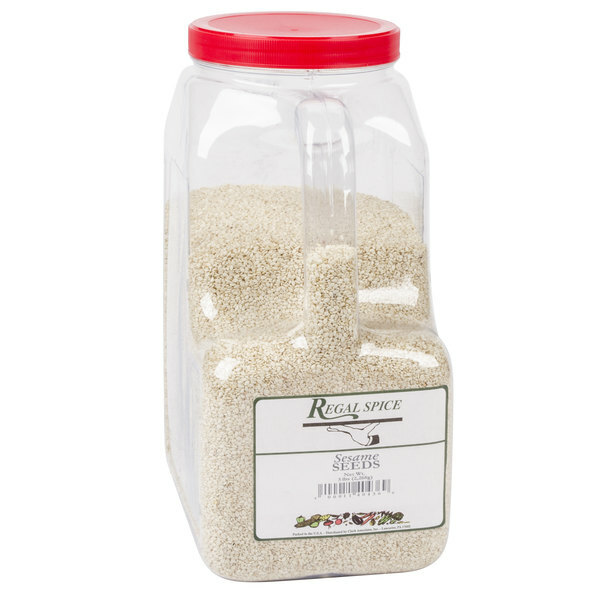 Regal white sesame seeds are sold in 5 lb. quantities and will add crunchiness and a sweet, nutty flavor to any dish you make. Sesame seeds are native to Africa and India, but are now grown around the world. Popular in Middle Eastern and Asian seasoning blends, sesame seeds enhance the appearance and texture of a variety of foods. White sesame seeds also have a number of health benefits and provide important vitamins and minerals that are crucial to balanced nutrition. The flavor of white sesame seeds intensifies when toasting, making them a smart addition to any kitchen. "Very good quality sesame. Great for making candies! The best price I can find anywhere. Shipping was fast and shipping fee is reasonable. Would recommend this to anyone else." This 5 lb. container of white sesame seeds is a cost-efficient option for high-volume kitchens. Dehydrated spices also last longer than fresh ingredients and are easier to store, making them the perfect addition to any busy kitchen. 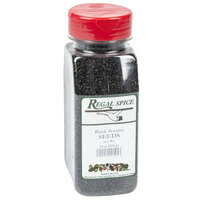 Regal Herbs and Spices are a smart choice for any kitchen. This handy 5 lb. container satisfies all of your cooking and seasoning needs. Be sure to check out our quantity discounts for even better wholesale savings! 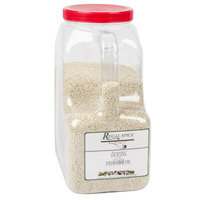 Overall User Rating: Regal White Sesame Seeds - 5 lb. 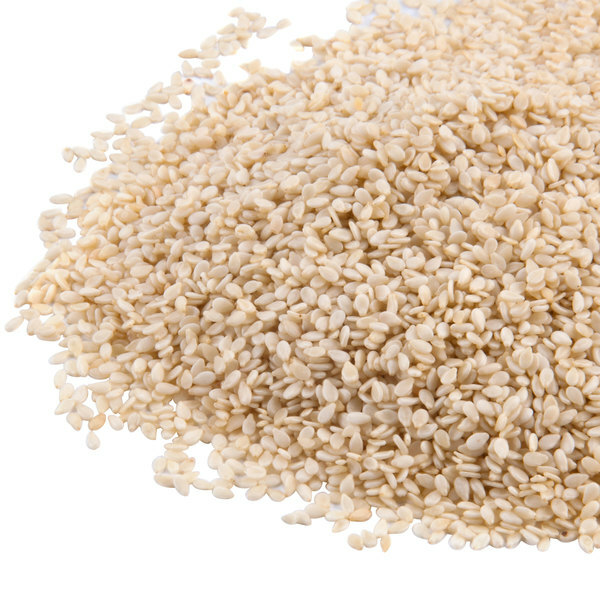 We use these sesame seeds quite regularly for everything from garnish on dishes to the main ingredient in our tehina. 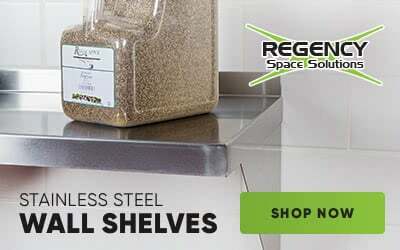 The quality is outstanding and the price makes it a no brainer for any kitchen. I wish these sesame seeds were toasted! Unfortunately, they have almost no taste and don't add that amazing flavor and small crunch to the food. But for presentation it's great! good quality sesame seeds, nice and fresh, good price. Not my usual spice provider, but WRS had a better price so I gave them a shot. This Regal brand of spices and seasonings are perfect for the professional kitchen, for a fraction of the price of the national brand, or private label spices! Excellent quality, and fresh! 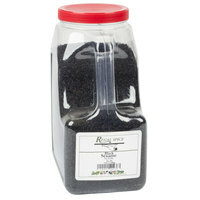 This product is the right product if you are looking for sesame seed for your baking needs. The price is right and the quality of the seed is amazing. We use it in our end product and our customers arw happy. We highly recommend it. 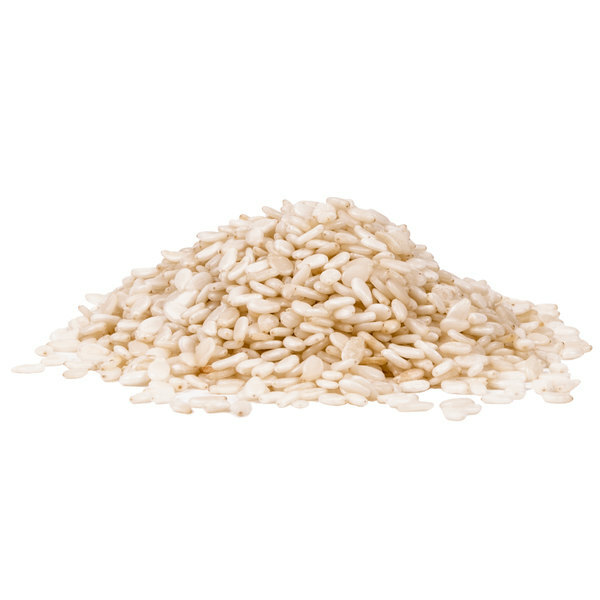 Great style white sesame seeds that are delicious and great for our dishes. They are great quality and have a nice texture. Great sesame seeds. Nice quality white sesame seeds. They are very good in texture and not too hard. Perfect for adding to our Asian dishes for authentic flavor. 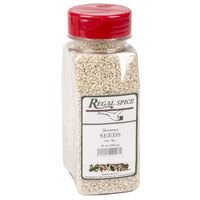 Great quality seeds from Regal that are great for many culinary dishes. The packaging is great and very sturdy. The white sesame seeds are great for making Asian chicken. 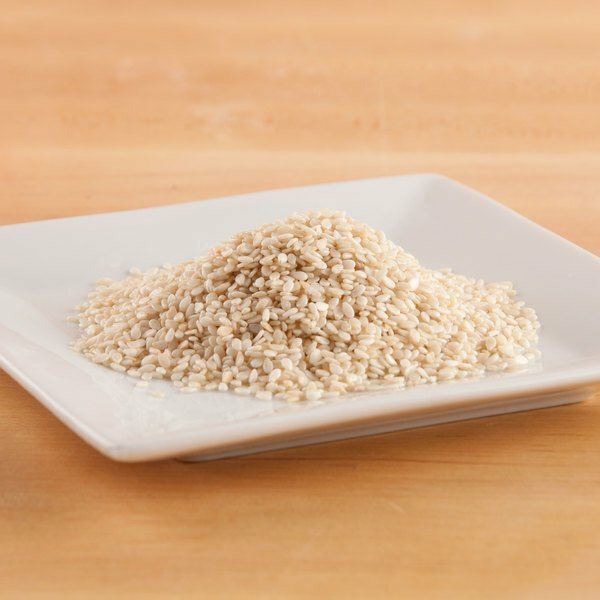 The white sesame seeds are perfect for making homemade sesame chicken. The seeds are great quality and have a great texture. An unbeatable price for a bulk container like this one. A nice quality white sesame seeds that are great for our bakery. They are great for making our sesame seed granola bars and really fresh tasting. A wonderful brand of white sesame seeds that are awesome. They are a great quality and are really good for making sesame style chicken for dinner. I keep these in my pantry. I love sesame seeds in my Asian dishes. They add a great crunch and are visually appealing when it comes to presentation. These are a must. I love buying these sesame seeds in bulk. I make my own everything bagel seasoning and I need large amounts of these. I will keep with the 5 pound as it's easy to store and big enough where I am not constantly replenishing. Great product! Arrived exactly as described - we are happy to know that Webstaurant carries this type of product as it was less than half the price of competitors! This is awesome, has a great flavor. I love buying my products at webstaurant store, great prices and speedy delivery, glad I got the 5 lb.Thank you. A high-quality item at a great price. This a nice amount of product for the price as well. Compared to buying sesame seeds at the grocery store, you get considerably more product for less money. Regal spices are the way to go! I use a lot of sesame seeds in my Asian type dishes. We were going through two of the smaller bottles a week, but now that I have this large container I can cut down on orders. These are good sesame seeds. They are especially good to use when making homemade tahini. They are also good as is in nut and seed mixes. We love to mix the black and white seeds together for a nice plate presentation. The price on the white and black seeds from Webstaurant is exceptional. Excellent product or the home cook who loves Asian food or for a restaurant. Can be toasted lightly to enhance flavor. Comes in a 5lb plastic airtight container wth a easy screw off lid. Also can be used in making homemade Asian salad dressings and dipping sauces for potstickers. Great product at a super price. Highly recommend. These sesame seeds are sweet and nutty and add just the right amount of crunch. They are a staple in many asian dishes we prepare and the price is great on here. These sesame seeds are wonderfully nutty. They are flavorful and give a crunchy texture to foods. They also can serve as a pretty garnish on baked goods and other foods. You have to have good quality sesame seeds to the make the many Asian dishes I make. These are not only very good quality, but they are also cheaper than the local Asian supply companies. These are such a wonderful flavorful find! I will usually toast them before I use them and always taste great. The price, even factored for shipping is unbeatable. I will use a 5# jug on a 3 wedding weekend. Look for the black ones as well! Exactly what we were looking for. Webstaurantstore.com offers the best price around for this large size container.. Fresh and flavorful. Great for garnishing or crusting. We use these seeds for our Everything and Sesame Seed bagels. We love the packaging and stay fresh lid. They put the container in a separate bag to prevent spillage in case the Fed Ex driver decides to drop kick the box. They bake great getting nice and golden brown and give off a fantastic toasted sesame scent and taste. Great price too....way cheaper than my local food provider. i use this producr a couple of times a week as I make our house dressings and use sesame seeds in one of the most popular ones so i like the bigger size and value. I love these sesame seeds they are tasty and fresh. We use them on bagels and for cookies, The price is excellent. I am ordering more today. the price wasn't bad but I do not know if I had bought too much, I added this to my Chinese dish. it smells great but I prefer to use it in conjunction with the black sesame seeds that way I add more color to the dish... I plan on making some Chinese desert with this, I know I like the price and 5 pounds will be gone fast, I am sure I will buy this again. I bought these for personal use, since they are so much more affordable than the tiny containers you can find at the grocery store. We repackage them in an old spice jar and use them liberally on Asian food! I've been very happy with my purchase. Very good quality sesame. Great for making candies! The best price I can find anywhere. Shipping was fast and shipping fee is reasonable. Would recommend this to anyone else.